LINC Project evaluates your issue immediately and solves 99% of the problems during the first call. IT'S TIME FOR A CHANGE! SIGNUP TODAY! IT Support is a unique balance between Efficiency, Competences, Understanding and Communication. We are dedicated to the sustained IT support your staff needs to be as productive as possible, resulting in less IT calls, less failures and more getting things done. LINC Project will give you a full system wide checkup that includes a diagnosis and enhancement of your operating system (MAC or WINDOWS) to ensure optimal performance. Furthermore, we work and remain engaged with your staff so all computers are running at peak speed and stability. Wireless or wired…it’s your choice. LINC Project will assist you in troubleshooting your network and show you some basic ways to test your network connectivity in case of connection issues. Printing sounds simple in theory, but can become a complex process very quickly. We will help you set up and troubleshoot your printer to make sure all print jobs are running as smoothly as possible. It’s a fact that office users rely on their email software more than any other tool. Let us set up and optimize the email client of your choice so you gain productivity. One of the greatest challenges companies face is security and the threat to your company’s privacy is more present than ever before. LINC Project ensures that your computer is clean and well protected against everyday online threats that can impact your business. Have you ever thought about what would happen if you accidentally spilled coffee on your laptop? LINC Project will setup your applications or operating system to automatically backup so that you don’t have to worry about unexpected failures. Check our Business Continuity Solutions. DON’T CHOOSE BETWEEN EFFICIENCY AND OPERATING BUDGETS, HAVE BOTH ! We believe that any company should have access to dedicated and professional IT Support that can help them grow and maintain their business. Do you prefer chatting than talking? 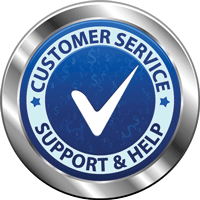 We provide IT Support through your favorite channel whenever you need us! Outsourced IT is generally more cost effective than hiring in-house IT staff for businesses? Get proactive with your IT. LINC Project works with you as a partner to prevent problems, increase productivity and take all the IT burden off your shoulders to let you focus on what you do best.